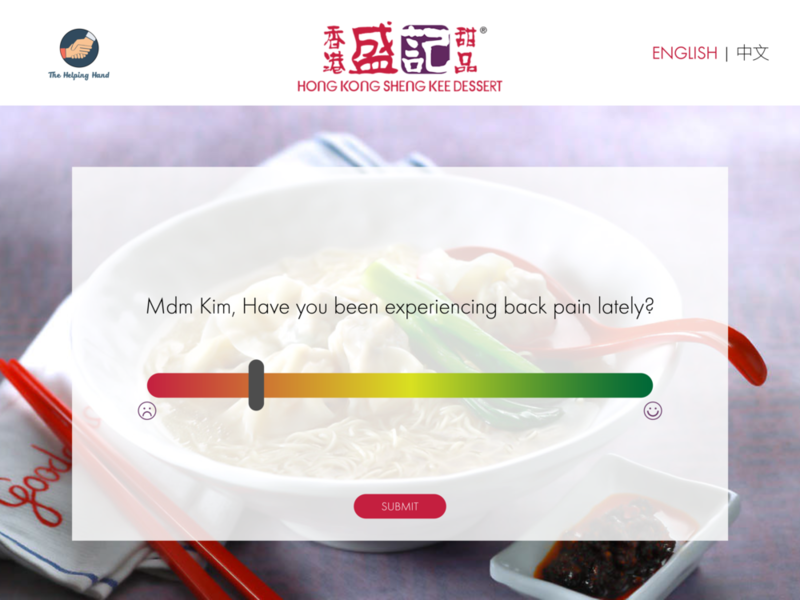 The Helping Hand is a feedback system for employers to regularly engage and obtain insights on contextual pain points from their older workers, to align their job responsibilities better, as well as to guide their recruitment. It enables mature workers to express their pain points by opening communication channels and gathering contextual insights about these workers' perception, thus enabling management to make evidence based improvements to mature workers’ jobs. Rather than a one-size fit solution, the concept is designed to be flexible enough to be adaptable across different service scopes. The Helping Hand has been positioned to be a dynamically evolving system that adapts to changing perceptions in workplaces, as new mature workers enter work force over time.